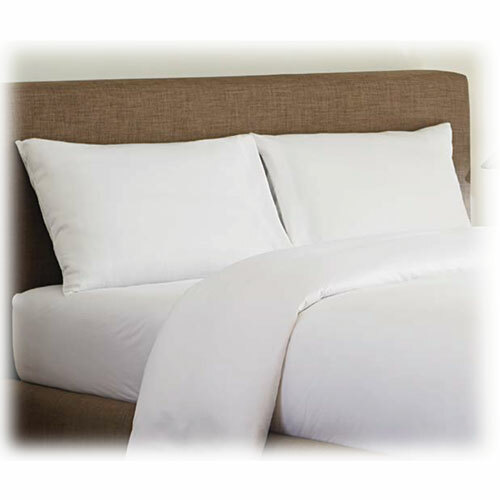 The new 180 ct. white sheets & pillowcases are 55% cotton / 45% polyester helping to provide comfort, durability and strength. When budgets are small, choose LodgMate Textiles by Welspun to deliver the quality you want, at the price you need. The fitted bottom sheets are available with 9" or 12" deep pockets and offer a 3" under tuck as well as elastic corners that assist in efficient maintenance. 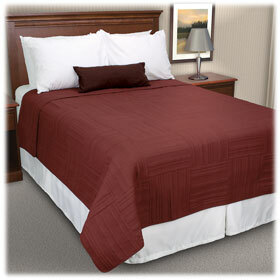 The flat sheets have 3" top and bottom hems. 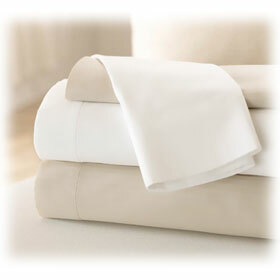 Since these sheets do not require ironing, they will always look neat & clean which will please both staff and guests. Sold by the dozen. Technology and innovation will allow your guests to experience luxury! Twin Flat: 66" x 104"
Full Flat: 81" x 104"
Full XL Flat: 81" x 108"
Queen Flat: 90" x 110"
King Flat: 108" x 110"
Twin Fitted: 39" x 75" x 9"
Full Fitted: 54" x 75" x 9"
Full XL Fitted: 54" x 80" x 9"
Queen Fitted: 60" x 80" x 9"
King Fitted: 78" x 80" x 9"
Twin Fitted: 39" x 75" x 12"
Full XL Fitted: 54" x 80" x 12"
Queen Fitted: 60" x 80" x 12"
King Fitted: 78" x 80" x 12"